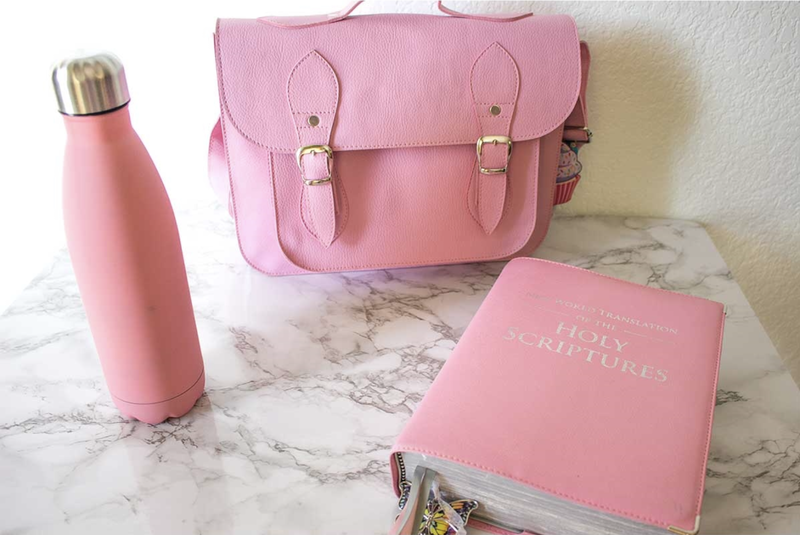 The Sophia Bag is a beautifully stitched leatherette briefcase designed to offer safe storage for all your daughter’s, granddaughter’s, or niece’s ministry gear. The ministry bag has a sizeable main compartment that can hold her Bible, notebook, pen, and Watchtower and Awake! Magazines. The bag also has a compartment for storing tablets of any size and an inside zipper pocket for storing contributions. At the side is an exterior pocket for storing smaller items. The bag has an adjustable, padded strap and nylon zippers for safe storage. With its beautiful stitching and quality handcraft construction, this bag will be a great gift to introduce your daughter, niece, or cousin to the ministry. She will use the bag for years to come thanks to its high-quality leather exterior that’s easy to wipe and that will not fracture after a couple of months. Everyone loves the Sophia bags. Bought one for myself one for my daughter,and two more for my granddaughters. Don't know if you follow the app. Instagram. They posted a picture of myself and daughter and granddaughter with our Sophia bags. Many liked them and we're going to order them. We love, love love this bag. We have received so many comments on it as well. Everyone recognizes it as the Sophia bag too. I am always sure to let them know where we bought it and the story behind your company. It is so wonderful to help our fellow brothers and sisters. I enjoy your posts on Facebook too. Thank you. Sending love to our spiritual family! My 11-year-old daughter LOVES her Sophia Bag! The Sophia Bag is the perfect size bag for my 11-year-old daughter. She chose the lavender purple, and the color is beautiful! Her service items (Bible, magazines, and tract holder) fit perfectly. Thank you so much for supplying such great theocratic tools! Based in Ecuador, Ministry Ideaz supports Jehovah’s Witnesses in their ministry through high-quality products. One of the products sold by Ministry Ideaz is the Sophia Bag Preaching Tote for girls.